Hands-on experiences help you build your career around what matters to you. And support from dedicated faculty allows you to pursue challenges that define your future. 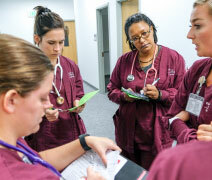 When you graduate from UIndy, you don’t just enter the real world—you lead the way. You can choose from more than 100 undergraduate academic programs. We also offer 40 master’s programs and six doctoral programs, including those in our Krannert School of Physical Therapy, School of Occupational Therapy, and School of Nursing, which all rank among the finest in the nation. And your opportunity to discover isn’t limited to campus. 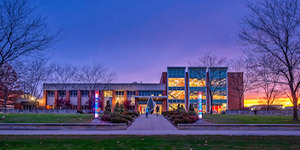 Located justminutes from downtown Indianapolis, our academic ecosystem is interconnected with the city. That meansinternship opportunities with world-class organizations like the Indianapolis Colts, Eli Lilly and Company, and Roche Diagnostics. 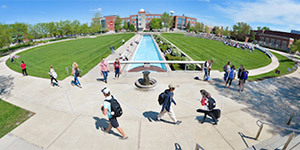 The University of Indianapolis offers several program majors in Health Sciences and Pre-medicine, including Anthropology with Occupational Therapy, Athletic Training (Pre-athletic Training), Biology, Biology/Cell and Molecular, Biology/Science and Technical Writing, Chemistry, Exercise Science, Human Biology, Kinesiology, Medical Laboratory Science, Nursing, Occupational Therapy (Pre-occupational Therapy), Physical Therapy (Pre-physical Therapy), Pre-dentistry, Pre-medicine, Pre-veterinary, Psychology, Psychology with Occupational Therapy, Public Health Education and Promotion with Occupational Therapy, Respiratory Therapy, and Social Work.